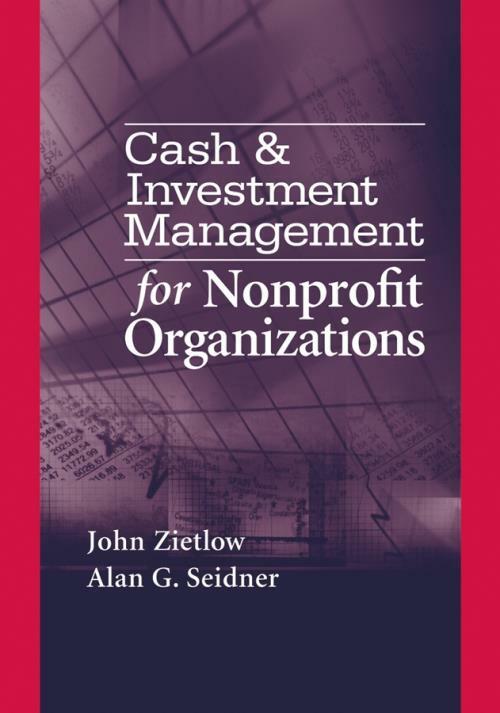 Written by financial professionals for financial professionals, Cash & Investment Management for Nonprofit Organizations provides essential tips and proven financial methods for improving and benchmarking your organization′s practices. Discover how to become more effective in keeping your nonprofit financially healthy with the techniques and tools in Cash & Investment Management for Nonprofit Organizations. CHAPTER 1: CASH FLOW AND YOUR CASH POSITION. 1.1 Life in the Nonprofit Finance Office. 1.2 Target Liquidity as the Primary Financial Objective. 1.3 Setting Your Liquidity Target. 1.4 How Do Proficient Cash Management and Investment Management Enable Your Organization to Achieve Its Liquidity Target? CHAPTER 2: CASH PLANNING AND LIQUIDITY. 2.1 Cash Flow Characteristics of Nonprofits. 2.2 Cash Shortfalls and What to Do about Them. 2.3 Tiers of Liquidity and the Spectrum of Liquidity. 2.4 Measuring and Managing Solvency, Liquidity, and Financial Flexibility. CHAPTER 3: CASH COLLECTIONS AND POSITIONING. 3.2 Objectives of Cash Collections and Positioning Systems. 3.3 Front End of Collections: Receivables Management. 3.8 Comparison of Alternative Collection Systems. 3.10 International Cash Collections and Concentration. 4.2 Objectives of Cash Disbursements Systems. 4.7 Comparison of Alternative Disbursement Systems. 4.8 Establishing Your Banking Network: Products and Services to Consider. 4.9 Fraud Prevention and Internal Control. 4.12 Outsourcing Disbursements or Payables. CHAPTER 5: BANKING RELATIONSHIP MANAGEMENT. 5.2 Objectives for Your Banking Relationship. 5.3 Communicating with Your Bank. 5.4 Services Provided by Banks. 5.5 Depository Services and the Availability Schedule. 6.2 Objectives of Debt Management. 6.5 How a Bank Views a Nonprofit Borrowing Request. 6.6 Debt Management Metrics and Benchmarks. 7.2 Managing Liquidity Funds and Optimizing Return on Excess Short–Term Working Capital. 7.5 Standard Operating Investment Procedures. 7.6 Investment Operations: An Introduction. 7.7 Introduction to Yield Analysis. 7.10 Price Movement of Fixed–Income Securities. 7.11 Effect of Changing Interest Rates on Longer Maturities. 7.12 Summary of Yield Curves. 7.13 Fixed–Income Investment Instruments: An Introduction. 7.15 U.S. Government Agency Securities. 7.18 Money Market Instruments Issued by Banks and Investment Companies. 8.5 Principles of Endowment Management.